Welcome to this sunny bright four story "townhouse in the sky" located in the iconic full service Silk Building Condominium. 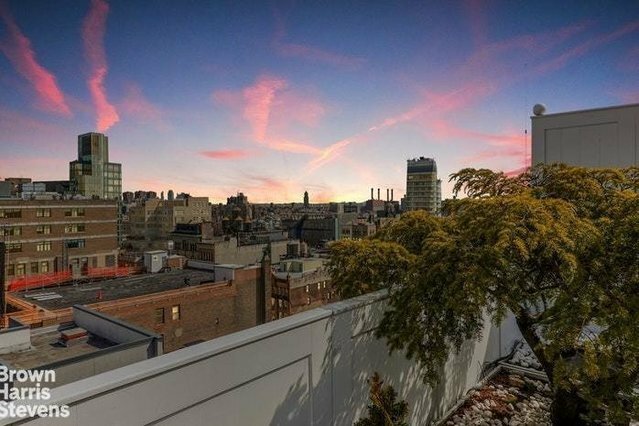 You have everything you would want in a 4 story Penthouse from north and south exposures, a wood burning fireplace, private outdoor space with a planted terrace, beautiful city views and a private solarium. The gracious floor plan makes this a great place for entertaining and its flexibility allows for a variety of uses. This is the first time this prized unit has been on the market since the current owner bought it from the developer almost 30 years ago. Built in 1907 and converted in 1987 this building features many of the architectural prewar details of its era.The list of famous residents who have resided here are endless! Is It time to add your name to the list that live and lived in the Silk Building?